Can we save the Monarch Butterflies? Do you care about Monarch butterflies? If you do, find some Milkweed plants and take a ripe seed pod. Keep the pod cool and dry this Winter. Next Spring plant the seeds. Or, wait until Spring and collect some young plants as soon as they pop out of the ground. 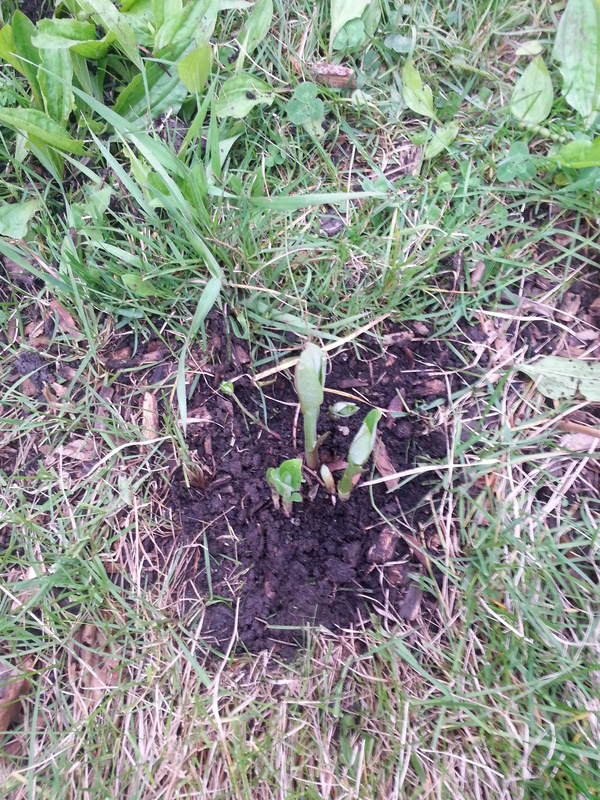 Transplanting big Milkweed doesn’t work very well, unless you can dig really deep and take a bucket of soil with you. They are easy to grow. Milk WEED. 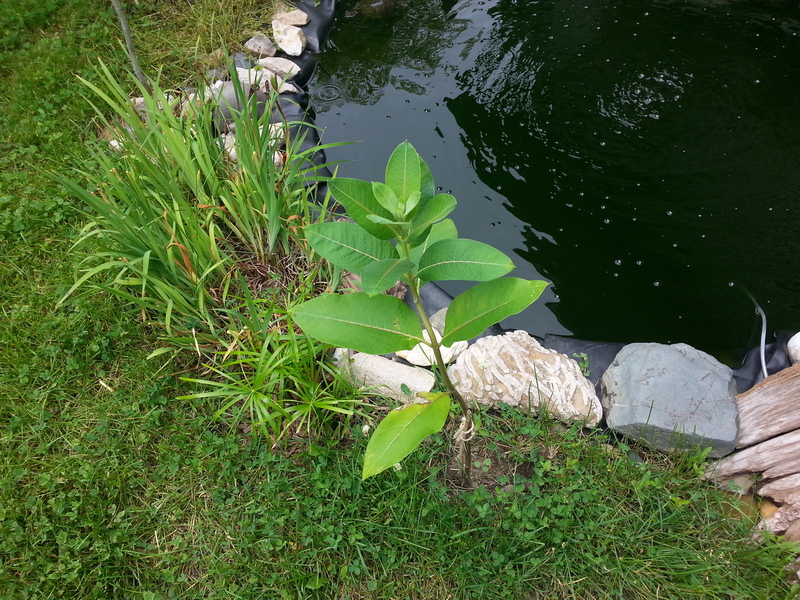 I put plants in several places in my perennial garden/ turtle pond. 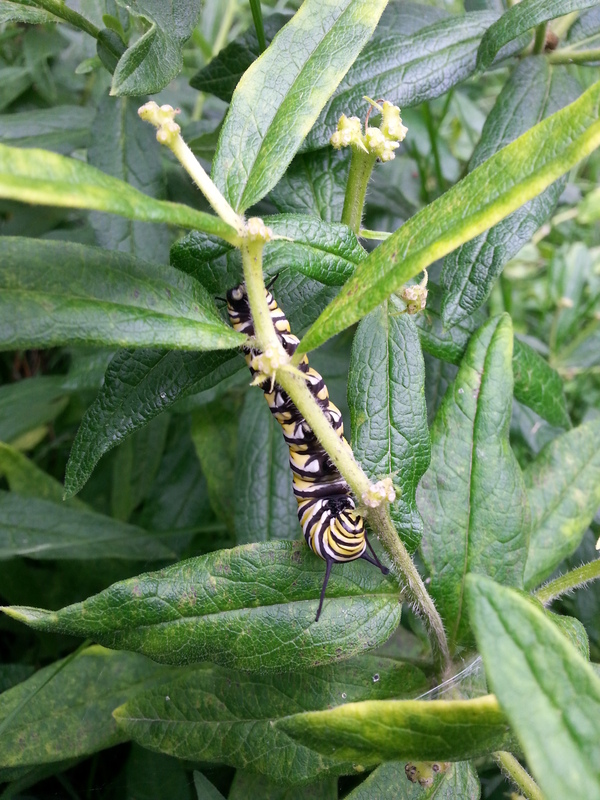 I saw a Monarch flitting around the Milkweed plants. Later I saw this little white bump on the underside of the leaf. I checked on it often but I never saw it change size or hatch. Butterfly Milkweed, which is growing right next to the Common Milkweed. 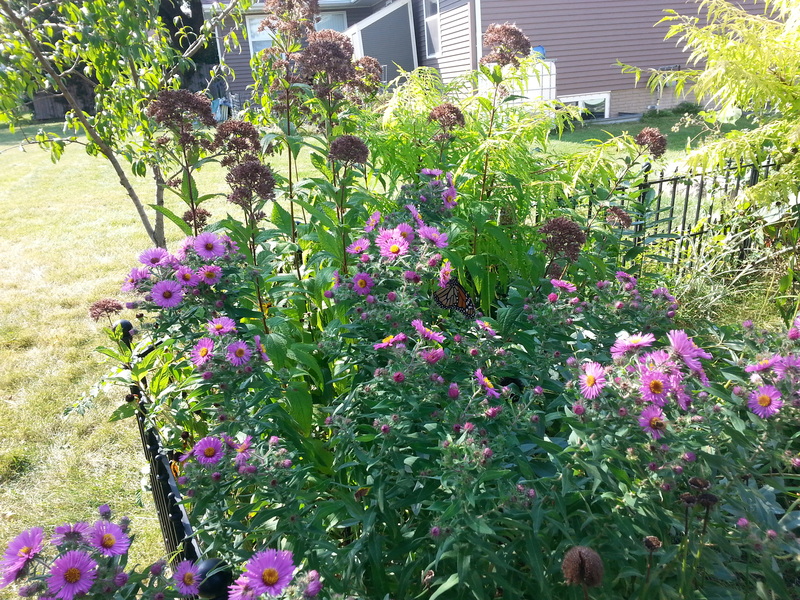 In the Fall, the adult Monarchs love these Aster flowers. Also, the Asters are used by the honeybees and bumblebees. They need our help, too. The bees love this flower, too. 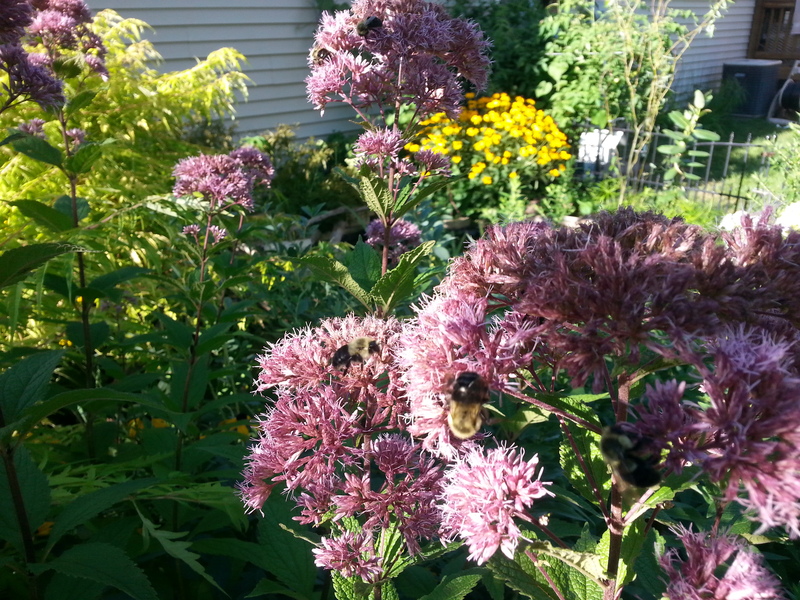 It’s called Joe Pye Weed. 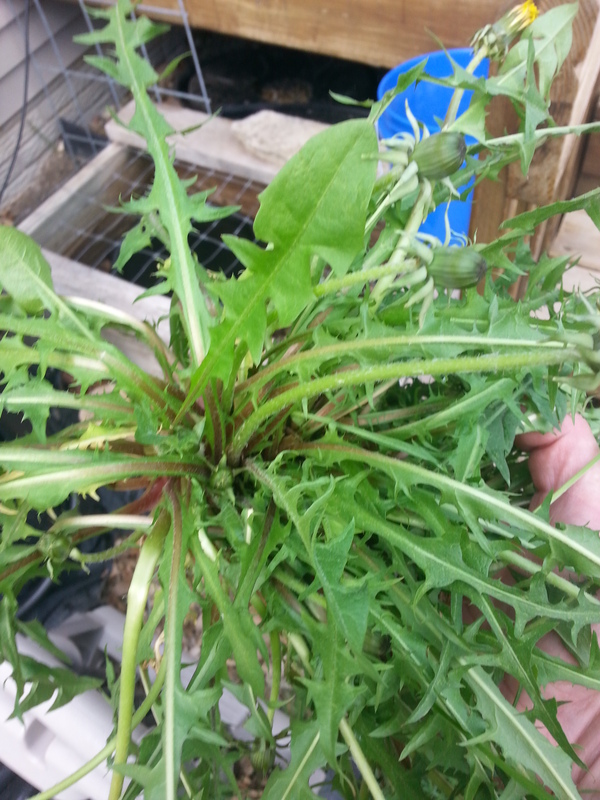 How come these great plants are called weeds? 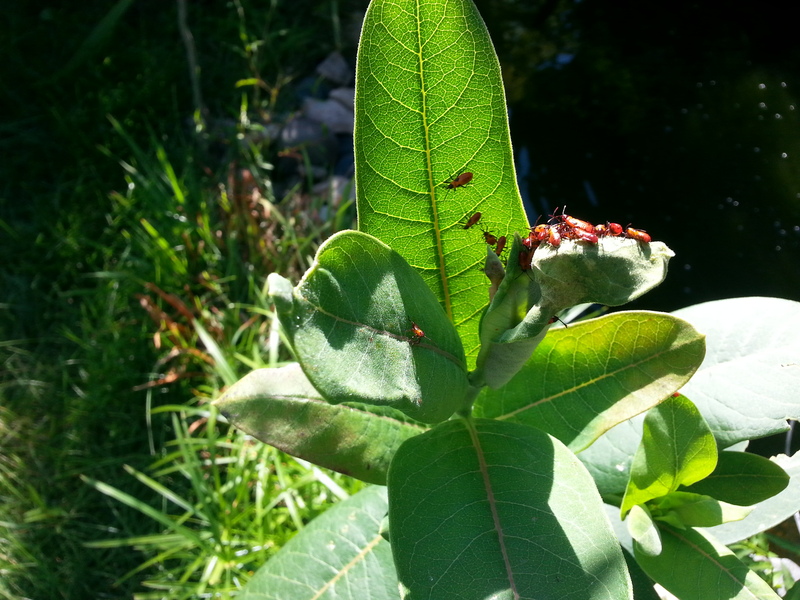 One of the Milkweeds was attacked by these little red bugs that look like a mite of some kind. 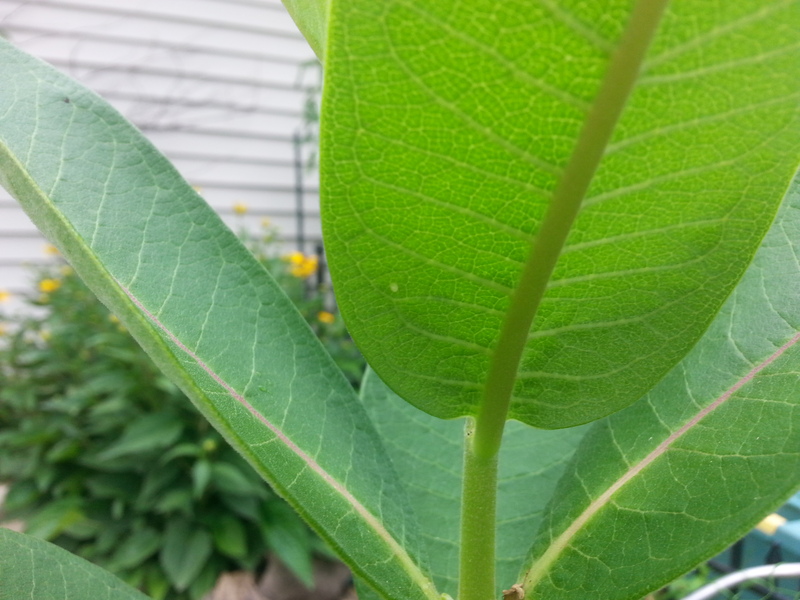 Of course, you can’t spray any chemicals on your Milkweed. Either leave it alone or spray water on it and knock the bugs off. It’s just nature. Some years you have pests, some years you don’t. We hardly had any Japanese Beetles this year. If you have read this far, you have to see this editorial that was in our local paper. This guy is either misinformed OR he is the funniest dude ever. 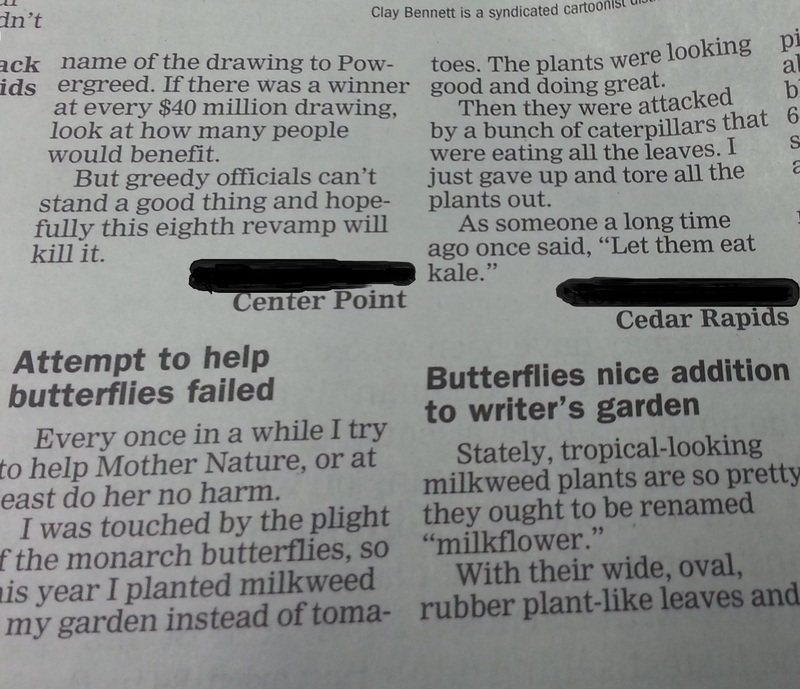 It’s the article titled “Attempt to help butterflies failed”. I look forward to having more Milkweed and more Monarchs next year but I’m not terribly optimistic about their future. In the Fall of 2014 I counted as many as 5 or 6 butterflies in the garden. This year, I only saw one Monarch at a time. ONE. That is a frightening thought. In Iowa, the corporate use of farmland wipes out most of the state as far as potential habitat for butterflies. 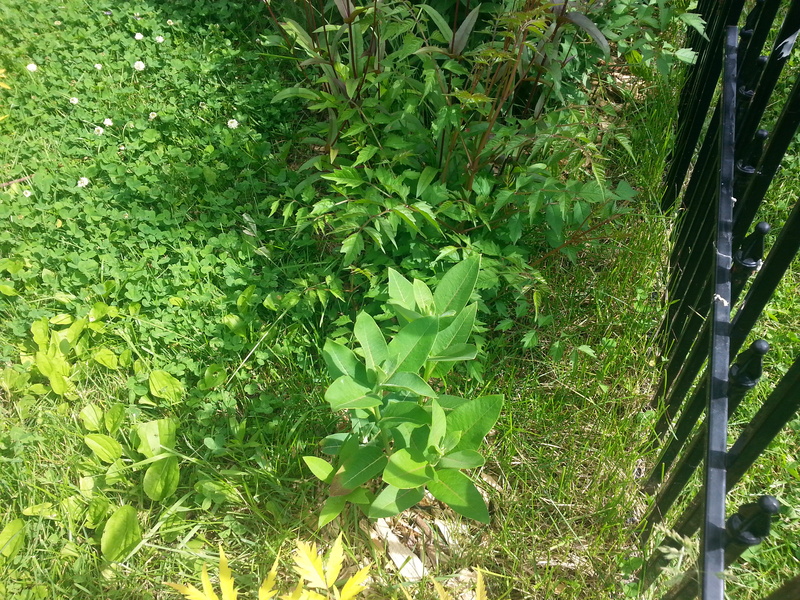 Does planting a few Milkweed around the house matter? Maybe not. If we don’t try it, we’ll never know. The Monarchs are migrating South now and we’ll soon find out how many make it to their wintering grounds in Mexico. The previous photos were all mine but I need to add a picture of a Milkweed seed pod. I found a nice one on a site called Amylamb.com. I hope she doesn’t mind that I used her photo. In keeping with today’s theme of useful weeds, here is a gigantic dandelion that I picked in my neighbors yard. My two land turtles love dandelions. And you know me, I like to slip in a turtle picture wherever I can because…everyone loves turtles, right? 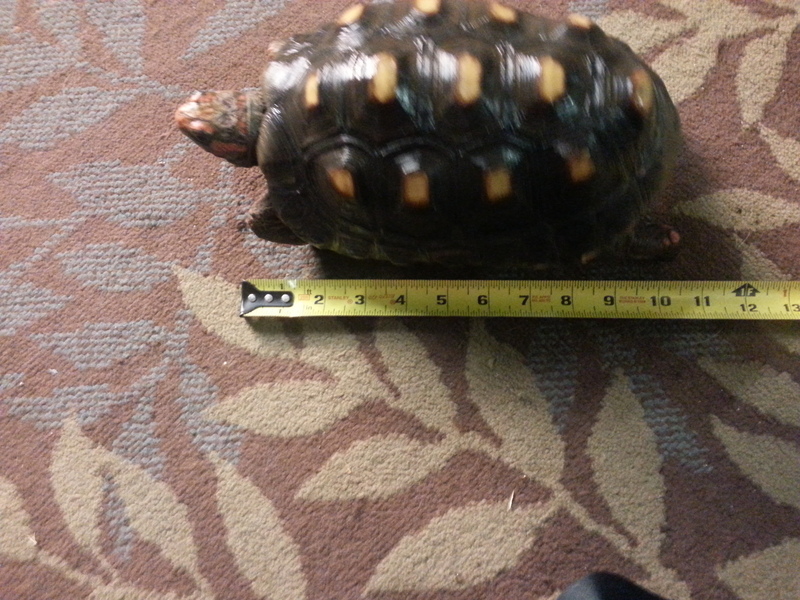 Here’s my female Red-foot Tortoise. She has grown so much. Her shell is 10 inches now. I can’t stop! I have to show you this tomato that my neighbor planted. It’s called an Indigo Rose. Not a weed. They taste good. They are bigger than a cherry tomato. About the size of a golf ball. The seeds grow back true to the parent plant so we are collecting some seeds and we’ll share the plants next year. When this picture was taken they weren’t ripe yet. 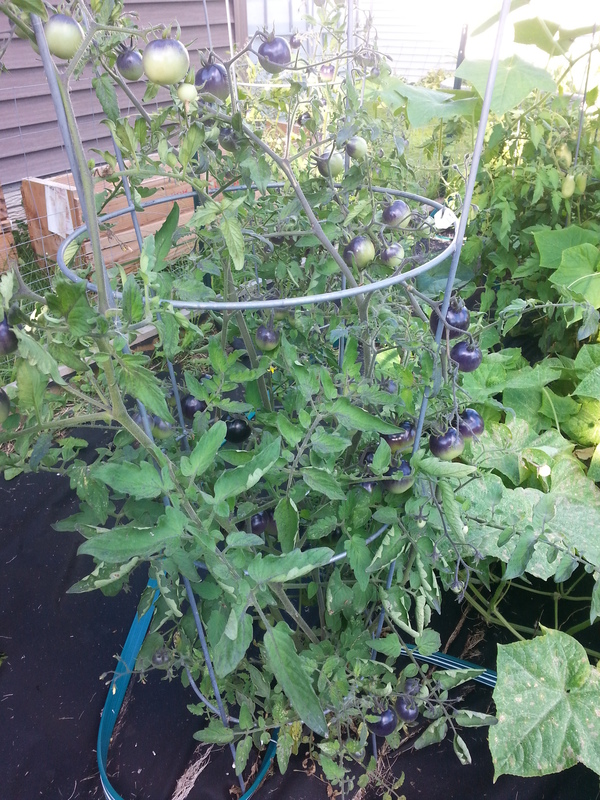 The entire tomato gets purple and then the bottom turns reddish. OK, that’s enough for now. 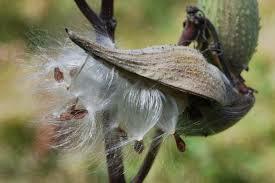 Take a hike, find a milkweed pod, gather some seeds, you know the rest. Peace out, people!